My imperfect sewing technique shows, but at least these tooth fairy pillows (based on a concept imagined by Amber Taylor) are original! 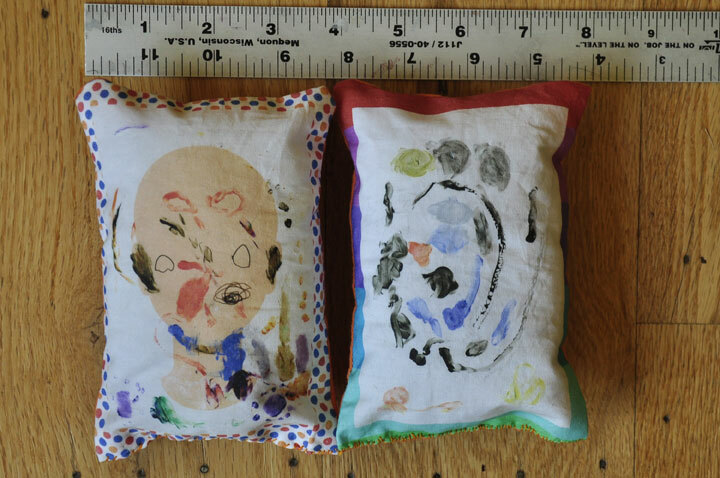 The two pillows above feature original art by twins Wilson Taylor (pillow on the left) and Cole Taylor (pillow on the right) printed on 100% cotton fabric. The paintings were done when the twins were 3 years old. The pillow backs feature a little snap pocket to hold a tooth and a financial reward from the tooth fairy in exchange for said tooth. 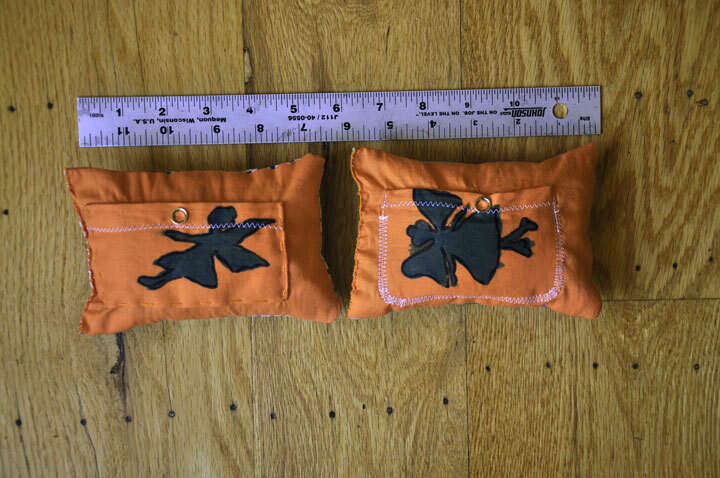 The pillow backs feature two different tooth fairy stencils painted on fabric and snaps by yours truly.